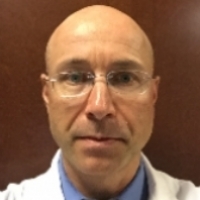 Dr. Talanow, is a native from Germany, who studied Medicine in Germany and completed his Radiology residency as well as a Nuclear Medicine fellowship at the Cleveland Clinic (Cleveland/Ohio, USA). He started being involved in teaching and IT, especially web-based technology, as early as in the mid-1990s. Dr. Talanow has published several medical books related to the USMLE as well as Radiology. He continued developing many web-based programs that serve the purpose of advancing education, some of them being society awarded. Dr. Talanow has founded the largest online community for Radiology professionals, Radiolopolis, the PubMed indexed Journal of Radiology Case Reports and became chief editor of a novel interactive Radiology case review book series. Dr. Talanow founded MedPics as a means to improve health care for patients, physicians and hospitals. 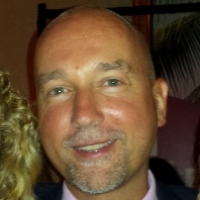 Dr. Holzhauer is a native from Mannheim, Germany who lives in upstate NY. He is a board certified Radiologist in Germany and in the USA. He is sub specialized in Neuroradiology (Germany) and Breast Imaging (Duke, USA). Dr. Holzhauer has worked for several years as an attending at the University of Kentucky and is currently a shareholder and partner at Windsong Radiology in Williamsville NY. Dr. Holzhauer is the founder of the website www.mammocoach.com, he is a section editor and reviewer for the Breast Section of the online “Journal of Radiology Case Reports” and co authored the book “Breast Imaging” as part of the Radiology Case Review Series published by McGrawHill. 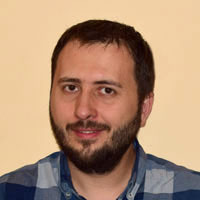 Starting with a economics degree in company's management, Ovidiu worked over ten years in the publishing industry. Being an autodidact and a computer enthusiast, he learned web programming and then shifted his career to IT and web development. Prior to joining MedPics, he also developed some other complex web projects as radiologycasereviews.com, mammocoach.com, reversitas.com, etc.